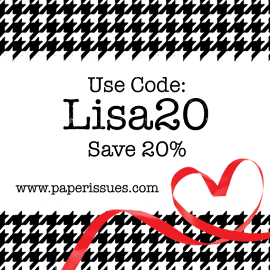 It's the fifth of the month which means it's reveal day at My Creative Scrapbook. This month I worked with the Pebbles Front Porch collection. This page is about a cupcake baking camp Alexa went to this summer. More about that here. Here are some close up shots of the embellishments around the page. 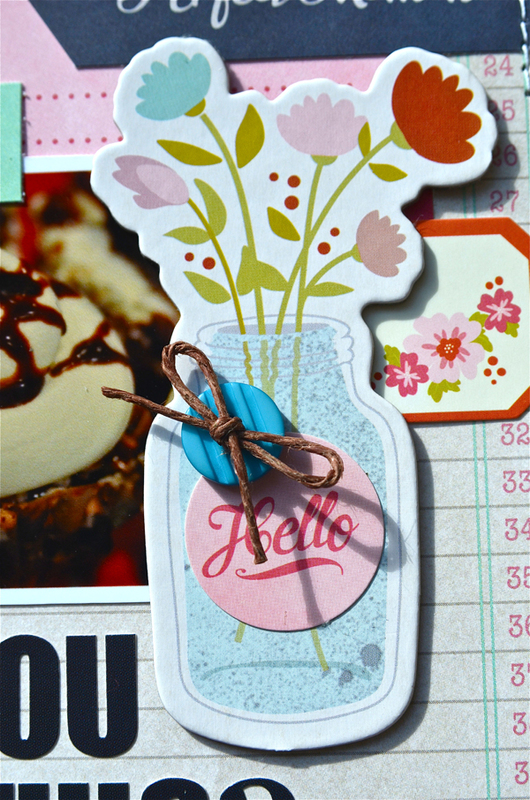 I layered a "hello" sticker, button, and a bit of twine on top of a chipboard mason jar. I hope you enjoyed getting a look at my layout and this month's kit. I'll be back to share another layout tomorrow featuring Alexa's school picture. Those are always tough to scrap, don't you think? Another fabulous layout! I would recognize your pages anywhere! LOVE the many details on your pages! This is gorgeous!! I love love love the colors, the jars and that title is perfect!!!! This is so pretty...love all the goodies! So much goodies! Love it! 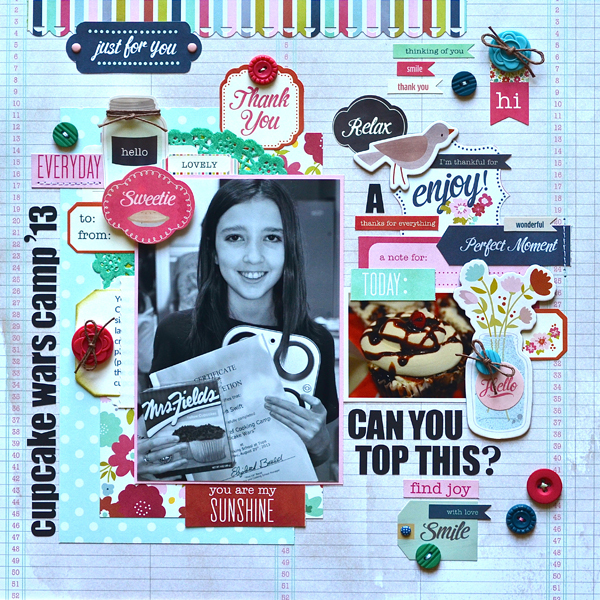 And such a fun title for a cup cake camp layout! Such a pretty layout, love that you used a b&w photo with those rich colors! wow! its amazing and i love the colors and design. LOVE all the tags- so awesome!! Sweet (pun intended) page! Love the little bits of twine you added to the jars and buttons. 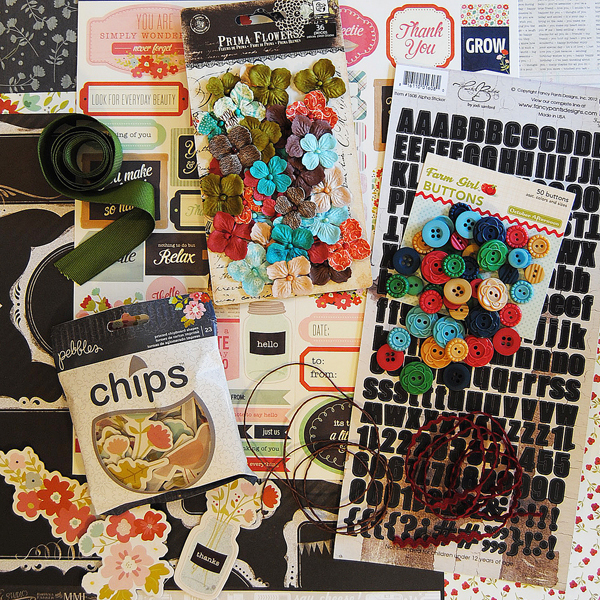 That is one gorgeous kit and your layout is so lovely! 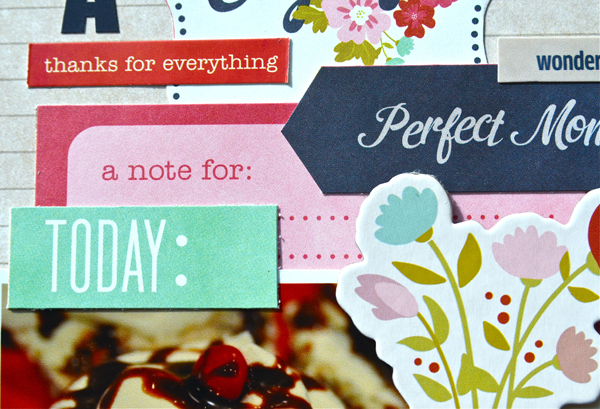 I adore the hints of mint scattered about on your layout! That must have been so fun for her! Awesome job! Awesome page!! 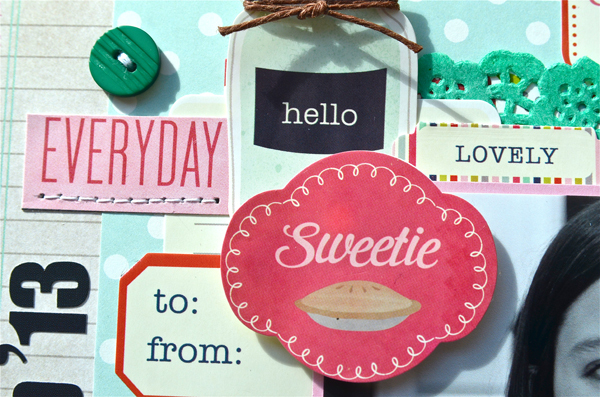 Love the chipboard and all scattered die cuts!! beautiful page and tht kit is full to the brim:):) lots of fun stuff!!! WHat a fun page!! So many happy things to find as my eye travels over the whole layout. You are the Queen of Layering! I love how you do it so well, and your photo always stands out. Great kit and layout, loving all those great buttons! Amazing! Love all the bits and details on this! And love this collection. Love how you used the Kit, Lisa!! All of the layering looks great!! so many fun goodies and eye candy! 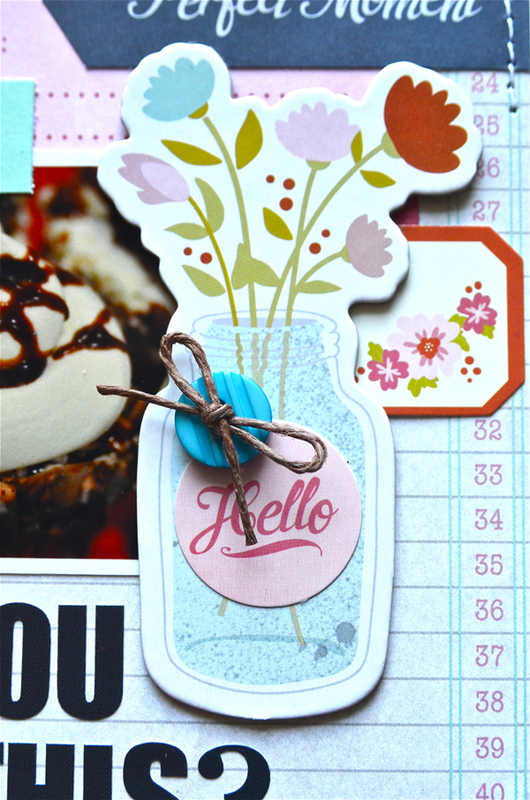 Love all your extra touches like the embellishment of the mason jar. Super cute page.